Who says Hawaiian shirts can’t be sophisticated? Our black Hawaiian shirts are perfect for those occasions when less is just a little bit more. Keep it sleek and stylish with this go-to staple that deserves a place in every discerning wardrobe. 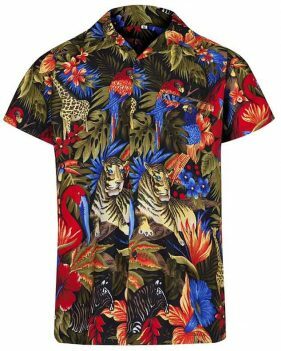 It’s a common misconception that every Hawaiian shirt should be drowning in a cacophony of colour. Black Hawaiian shirts, worn by icons like Frank Sinatra and Elvis Presley, are the ultimate in sophisticated chic and laid back cool. Perfect for long evenings spent socialising in the warm summer months, this surprisingly chic garment should feature in the sartorial merry-go-round of every discerning gent. This Aloha staple, which hankers back to the late 40s and 50s when American soldiers returned from service overseas, looks best paired with a simple pair of jeans or a slim fit chino. 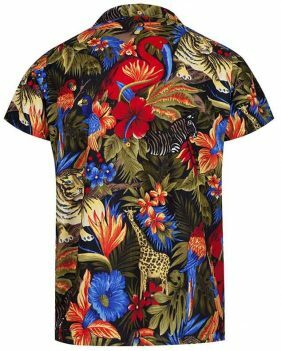 We stock a full range of sizes, so browse our range of black Hawaiian shirts and order online today.